The much quoted Nicholas Bagenal 1509-1590 (the first of that line to come to Ireland) was born the son of John Bagnall, Mayor of Newcastle-under-Lyme, Staffordshire, England and Elinor, daughter of Thomas Whittingham of Middlewich, Cheshire, England. He had four brothers Ralph and Richard and two others killed at Bologne. His sisters were Mary and Margaret. His children, by his marriage (1556) with Eleanor, 3rd daughter and co-heiress of Sir Edward Griffith of Penrhyn, North Wales, were Henry, Dudley and Ambrose, and daughters Frances, Mary, Margaret, Isabel, Anne and the celebrated Mabel, wife of Hugh O’Neill. Through this marriage Bagenal became seated at Plas Newydd, near Bangor and the owner of considerable estates in Wales. 1539: He fled England after involvement with other "light persons" in the death by misadventure of a man in a brawl in Leek, Staffordshire. Making his way to the court of Conn Baccagh (the lame) O’Neill in Ulster, he took employment there as a mercenary soldier. 7 Dec 1542: A letter was sent by the Dublin Privy Council to London at the intercession of Conn Baccagh O’Neill – recently created 1st Earl of Tyrone, petitioning for a pardon for Bagenal. 2 Mar 1543: Pardon granted to ‘Nicholas Bagenal, Yeoman. General pardon of all murders and felonies by him committed." 1544: He received permission from the Dublin Privy Council to depart Ireland for service in the French Wars. He was gone for three years and returned with a high reputation as a soldier. 1548 – 1549: Bagenal served under Sir Edward Bellingham. It is with him that the first indications in Ireland of his military abilities emerged. A group of raiders led by one Cahir O’ Connor were plundering in an area from Leix to North Carlow to South Kildare. In South Kildare Bagenal made contact. O’Connor retreated, even though Bagenal’s force was only in the ratio of 1 to 16 favouring O’Connor. However O’Connor and his raiders were trapped by a bog, where Bagenal’s force again made contact. Bellingham was later able to report to the Privy Council "that the oldest man in Ireland never saw so many woodkerne slain in one day". Bellingham‘s policy of erecting strong defences on the borders of the Southern Pale was mainly responsible for the revival of English Supremacy in the district. Hence, it was he who established the "Black Castle" at Leighlinbridge, Co. Carlow, where stood a suppressed Carmelite Convent. A band of horse was kept there, under whose protection the county slowly ‘settled’. This castle was situated in the Barony of Idrone owned by the Carews. Bagenal at a later date bought the Barony for one of his sons, Dudley, who shortly afterwards was to meet a tragic and violent death there. That purchase began the shift of the Bagenals from their base in Ulster to another in this part of Leinster. 1550: Bagenal became a member of the Irish Privy Council and also secured the position of Marshall General of the Army in Ireland. Nicholas settled in Newry in which vicinity he was to reside for the remainder of his life. He received a lease of twenty-one years on the Abbey lands, which were then made a grant of the town and lands of Newry. Added to these properties and other rights and lands, he also gained the Lordship of Mourne. In this year, two other major events occurred which were to pose a threat to English Rule in Ulster and eventually to English Supremacy in Ireland. Two of the Sons of Conn Baccagh O’Neill, Shane (or Sean) and Matthew fell out over the succession to their father. The result was that Shane took up arms against his brother, and, from time to time, against the English. In this year also was born the man who was destined to become one of the most famous soldiers of the Ireland of that century. With him, one might well argue that the idea of an Irish Nation was born. He was the man who would one day marry a daughter of Bagenal – Mabel, and also be responsible for the death of one of his sons, Henry, at the Battle of the Yellow Ford. He was Hugh O’Neill, 2nd Earl of Tyrone and second son of Matthew. 1551: Sir James Croft – the then Lord Deputy, after his failure to capture Rathlin Island (in which Sir Ralph, Nicholas’ brother, was involved) ordered Bagenal to keep the peace in Tyrone. Accordingly he raided into that area. Shane (Sean) O’Neill was his target, but he was elusive, making little resistance, and remaining in the woodland. However he did eventually come in on parole to make a truce. Enticed to Dublin, O’Neill was detained there for over a year. Bagenal and Matthew (Shane’s brother) worked together in this effort at re-establishing order in Tyrone. In the same year Bagenal made a successful expedition against the Antrim O’Neills. Again in this year a letter sent from the Privy Council in England requested Bagenal with others named to attend there "for the better understanding of the matter informed against Sir Anthony St. Leger by the Archbishop of Dublin". Probably living in the Abbot’s House in Castle Street (Newry) at this period he subsequently built (????) a castle called Greencastle. Here he brought his Welsh wife, raised his family (the descendants later for the most part, were to marry into Anglo-Irish families, and become caught up in the web of 17th century Irish Civil Wars). 1553: Saw the arrival of Mary to the English throne. A Catholic, she was determined that England would return to communion with Rome. Although Bagenal was apparently not as ardent a reformer as his brother Sir Ralph, he nevertheless fell under suspicion, and he was removed from his post as Marshall of the Army in Ireland, Sir George Stanly taking over. No doubt the period of Mary’s reign (1553-1558) was a difficult one for Bagenal. He had to enter into substantial recognizances for his future loyalty. How this must have struck at the very heart of such a proud man as Nicholas one can but only speculate. 1556: He married Elinor Griffith (see above) and was also made a knight. His brother Sir Ralph assigned his property in Staffordshire to him before fleeing to France. 12000 acres were in turn remitted by Sir Nicholas to one Valentine Browne, with a clause of warranty against Sir Ralph. 1558: Sir Nicholas was returned as Member of Parliament (M.P.) for Stoke-upon-Trent, England. (Elizabeth‘s Reign, 1558 – 1603). No doubt it was with a sigh of relief that he saw the arrival of Elizabeth I to the throne in that year. However his hopes of becoming Marshall were not to be realised just yet. For the moment he had to be content with a captaincy. Shane O’Neill was in rebellious form at this period. It would not end until his death at the hands of the Scots at Cushendun in June 1567. 1565 – 1567: Sir Henry Sidney became Lord Deputy (1565-71) (1575-78). Sir Nicholas had served under him in a former Vice Royalty. Sidney was a friend of Robert Dudley, the Earl of Leicester, (d.1588) who was a patron of Nicholas. These two men [together with a recommendation of the Lord Justice Sir N. Arnold] succeeded in having Queen Elizabeth promote Sir Nicholas to Marshall of the Army – replacing Sir George Stanly (who had in turn replaced him). Having written to Cecil in 1562, complaining that the followers of Shane (Sean) O’Neill "have greatly spoiled his lands and tenants", one can be sure that Sir Nicholas was only too anxious to get to grips with him. However it was not to be. Despite all their endeavors Sir Henry and Sir Nicholas were eluded by Shane. It was Hugh O’Donnell who finally defeated O’Neill. Shane had crossed the River Swilly at Farset Moor near Letterkenny in pursuit of O’Donnell. O’Donnell however suddenly swooped and Shane and his forces were routed. He escaped and made his way to the Scots at Cushendum where on the 2 June 1567, following a quarrel, he was killed. His enemies sent his head to the English and it finished on a spike at Dublin Castle. Sidney, accompanied by the Marshall now turned his attentions south and marched into a period of history known as the Desmond Wars, or Desmond Rebellion. For a brief period Sidney returned to England, but he was back again in late 1568, campaigning with the Marshall and this time too, he had the services of Hugh O’Neill, now Baron of Dungannon. It was a bloody and brutal period, where not only the subjugation of the native Irish was an issue, but also the power-play between the various powerful Lords such as that between the Butlers and Carew. 1569: The value of Sir Nicholas to the Lord Deputy may be gathered from an extract of this letter by Sidney to Cecil in 1569, "I have not a man of the Council of any action or effect, but Cusack and Bagenal". Little wonder then that Cecil (Lord Burghley, shortly) was soon to support Bagenal’s petition to the Queen for resources to strengthen and defend Newry. 1571: Sidney handed over the office of Lord Deputy to Sir William Fitzwilliam, under whom Sir Nicholas now served (1571-1575) although he was now an old man in his sixties. Sir John Perrot also arrived this year. Between him and Sir Nicholas there was to be bitter faction fighting and recriminations for many years to come. 1573: By this year Sir Nicholas was expressing his willingness "to support the young Baron" (Hugh O’Neill). He was now also however, showing his first suspicions of Hugh O’Neill, when he voiced his fear that O’Neill and Turlough Luineach (a nephew of Shane (Sean) O’Neill and headman of the tribe) were about to join forces. As it happened this did not occur. However the dangerous potential of such an alliance of these two O’Neills would not have been lost on the Marshall or on the English. In time these suspicions of the Marshall about the ambition and loyalty of this Baron of Dungannon were to prove well founded. 1576 – 1578: Sir Henry Sidney again took over the Lord Deputyship. 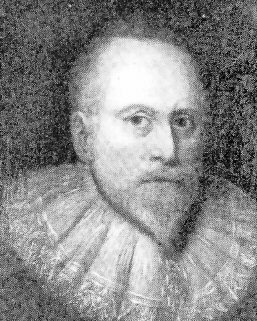 The importance of Sir Nicholas is again stressed by Sir Henry when writing to the Privy Council in London in 1576 he asks them to "like well of him" as, with what "good endeavour" he carried out their commands, and that he was a "great stay" in Newry. In 1577/8 Sir Henry was summoned to London. He placed Sir Nicholas in charge of the Service during his absence for the prosecution of the rebels, making him Lieutenant of Leinster and Munster. Writing in April 1578, the Lord Deputy giving a general account of the situation in Ulster says, "Amongst your Majesty’s servants the best instrument for the border is the Marshall, Sir Nicholas Bagenal, who till of late, that I your Deputy employed him in your service in Leinster, where he hath done your Majesty’s good and very acceptable service, did remain upon his own lands, and was the only countenance of the Northern border".